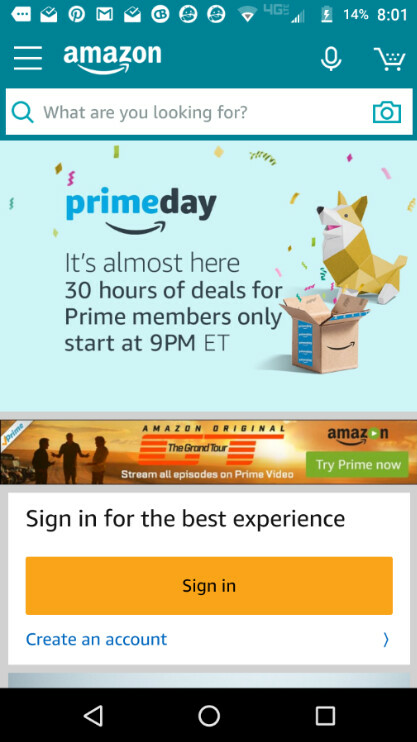 Starting in less than two hours (9pm EDT/6pm PDT), Amazon opens the door to a world of great deals as the Amazon Prime Day 2017 sales are offered to the Amazon Prime members. The sale runs for 30 hours giving you plenty of time to take advantage of some great deals. For example, you can purchase the hottest tech item for half off. Of course, we are talking about smart fidget spinners. the original smart speaker, the one that started it all, the Amazon Echo. Available for only $89.99, the combination of a speaker and AI assistant Alexa allows you to control smart appliances, make or take calls, listen to music, check the weather and latest sports scores, and get updated news reports. The regular price of the Amazon Echo is $179.99. Also on sale for 50% off is the Amazon Echo Dot. This is a smaller version of the smart speaker that resembles an overgrown hockey puck. During the sale, you can buy the Echo Dot for $34.99. Of course, these deals are available only to Amazon Prime members. You can score a 30-day free trial to Amazon Prime, after which you will pay $10.99 a month for the service. There are quite a few deals that you might be interested in. Starting at 7:20am tomorrow morning, you can purchase a 26,800mAh power bank for just $49.99. That is 70% off the regular price of $110. You can track all of the Prime Deals and follow the ones that you are interested in by installing the Amazon App. Just click on the appropriate link (iOS|Android), download the app, and follow the directions to set up reminders. To save 50% on the Echo or Echo Dot, wait until after 9pm EDT and click on the correct link (Echo|Echo Dot).